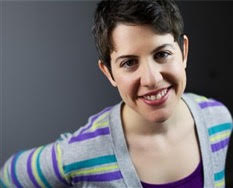 Patricia Villetto has been staffed at DreamWorksTV since 2015 and has worked on the animation shows Swamp Talk with Shrek and Donkey, Po and Mei Mei, King Julien’s Stand Up, and Puss In Boots. She was the head writer for DreamworksTV’s sketch show, OMG and writes for Goldie Blox: Toy Hackers. She received a BA from the University of Ulster with a focus on community theatre, drama in education and theatre in education. A graduate from Second City Hollywood, UCB LA, iO west and the Nerdist she has a passion for improv that she is excited to pass on to others.